Hand made felt. Seamless. Free style draping. 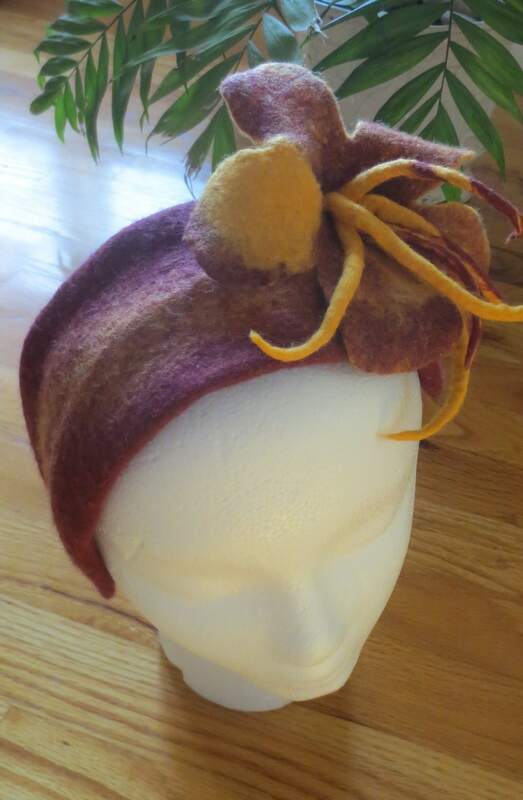 Merino wool and Silk Fibers. Millinery wire frame inside. Zipper opening on inside.